With creativity and determination, communities can act and invest in ways that help adapt to climate change while also reducing the greenhouse gas emissions that would otherwise cause future climate change. I wrote about this possibility in a previous post, and since then people have been sending me examples of inspiring projects where adaptation reduces emissions, or where reduced emissions help enable adaptation. What follows is a sampling of my favorites. Given the urgency of climate change, we need the policy and investment that will help create a low carbon economy as soon as possible. While not all of the needed investment will have adaptation benefits, any adaptation projects that also reduce emissions are especially attractive, and these seven projects show that, from urban centers to rural states in North America, and from tropical agriculture to tiny island nations, finding synergies between mitigation and adaptation isn’t just possible, it is already happening. 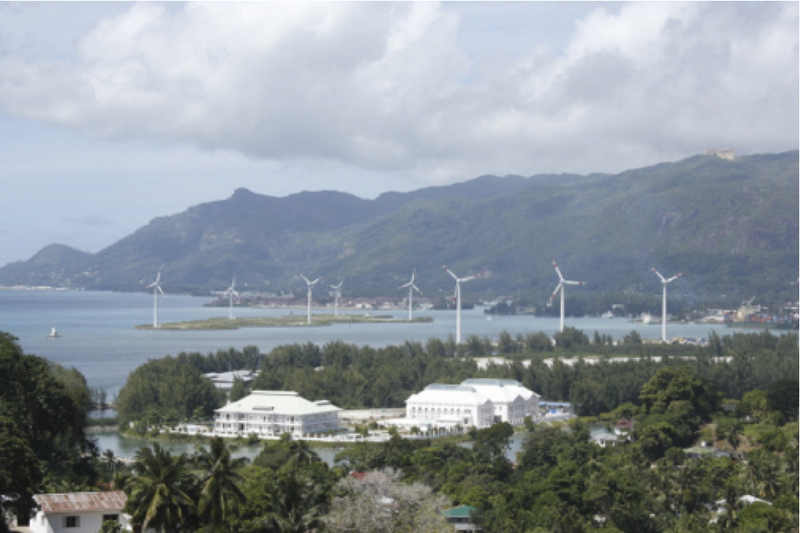 The 6 MW wind farm helps reduce the country’s dependence on imports of diesel fuel, freeing up funds for investment in infrastructure (which could include infrastructure that is climate change resilient). The step also improves air quality and reduces noise pollution from diesel generators. The failure of the electric grid was a major issue during Hurricane Sandy and previous storms. The Solar for Sandy Program will fund at least five sustainable energy systems for low income communities in New York and New Jersey at community centers and public buildings. While the systems will be tied to the grid, they will also provide back-up solar energy that could be used in the aftermath of a disaster. The adaptation part: ‘lighting, mobile phone charging, and other basics will be provided for by the solar energy source; as well as critical services such as refrigeration for medicines’. The climate change prevention part: the project will also ‘produce energy daily, help lower energy bills, and allow savings to go to important services for the local neighborhood’, according to Global Green the funder behind the project. The Milwaukee Metropolitan Sewerage District has an ambitious plan to scale up green infrastructure, using green roofs, land conservation, permeable pavement and other approaches to help slow and absorb water during the extreme precipitation events that are becoming more common with climate change. That’s the adaptation part. The mitigation part? 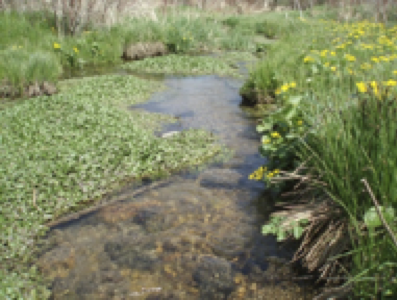 Through both carbon sequestration and avoided emissions (because water being retained by green infrastructure isn’t needing energy intensive pumping and treatment), the plan is estimated to reduce CO2 by a total of 73,000 tons per year. This is equivalent to removing the emissions of 14,000 vehicles from the cities streets each year! 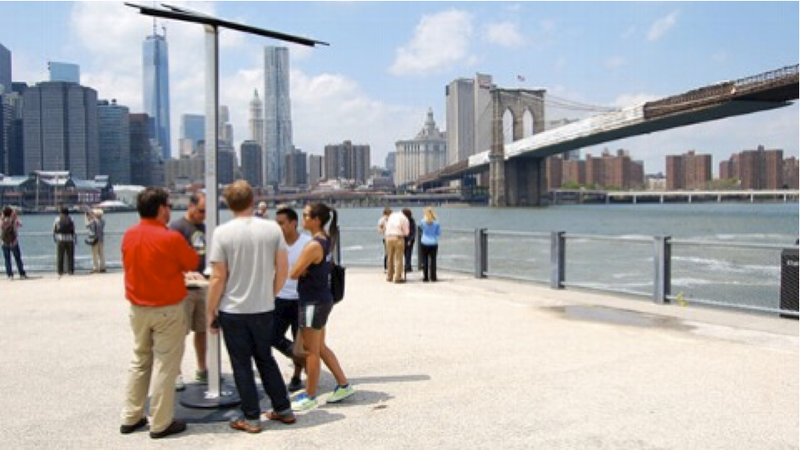 25 solar powered phone charging stations will be installed across the city this summer. Many of the first stations, including ones in Riverside Park and Fort Greene Park, began to provide power this month. The units can be moved in case of a disaster and quickly relocated where needed. While 25 phone charging stations won’t be noticeably reducing New York City’s greenhouse gas footprint, the stations have a good chance increasing the public’s familiarity with renewable energy, an important element of the transition to a clean energy economy. Salt Lake City is minimizing energy demand, especially during heat waves, by focusing on energy efficiency upgrades, developing net zero buildings, and expanding local renewable energy sources, such as solar PV and solar hot water systems. In Grand Rapids, MI, to offset the urban heat island effect, the city plans to increase its tree canopy cover to at least 37.5% between 2011 and 2015. 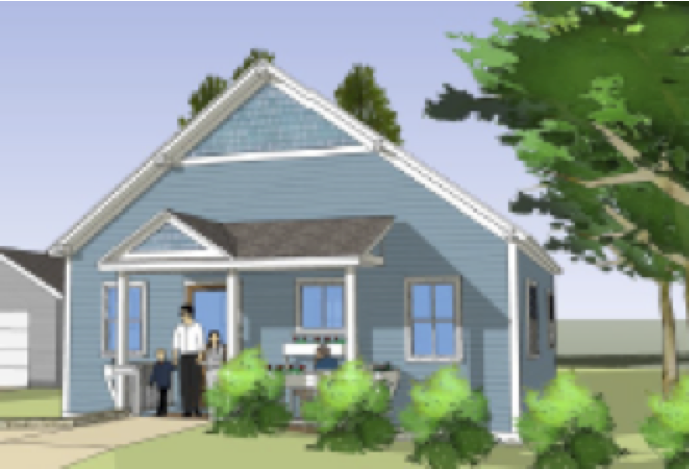 A network of Vermont funders, non-profits and building professionals are seeing the need to replace a mobile home housing stock that was disproportionately damaged in 2011 by tropical storm Irene as an opportunity to increase energy efficiency and access to affordable housing. With designs and detailed analysis in hand, they are moving forward to construct alternatives that are highly efficient, affordable, and located outside of flood plains. This interesting project, utilizing the Cool Farm Tool, found that out of 12 activities that would help Mesoamerican coffee growers adapt to climate change 5 also helped reduce greenhouse gas emissions. Most helpful were afforestation of degraded areas with coffee agroforestry systems and boundary tree plantings.